BOTANICAL BUTTERFLIES PAPER WEEK – BUTTERFLY LACE! Another project to share with you today for our Botanical Butterflies Paper Week. This one is a simple one but I think elegant. Hope you like it. I haven’t used this gorgeous Lace Dynamic Textured Embossing Folder a lot. It has such lovely detail to it. You don’t need to do much more with it. Emboss the white card and wrap around some Lemon Lime Twist Organdy Ribbon. (Did you know we have limited supplies of this ribbon back. They won’t be around long though). Then adhere the white card to the Lemon Lime Twist card. Diecut a circle from Vellum using the Stitched Shapes Framelits Dies and adhere that down on your card. I used a little Snail Adhesive to the back of the circle in the centre. Punch a butterfly from the Botanical Butterflies paper using the Butterfly Duet Punch and adhere that on to the circle. The sentiment is from the Butterfly Gala Stamp set and cut with the Rectangle Stitched Framelits with a few loopy, loops of Copper Thread. So it is just a touch of the paper but how pretty are these butterflies to make a feature in themselves. 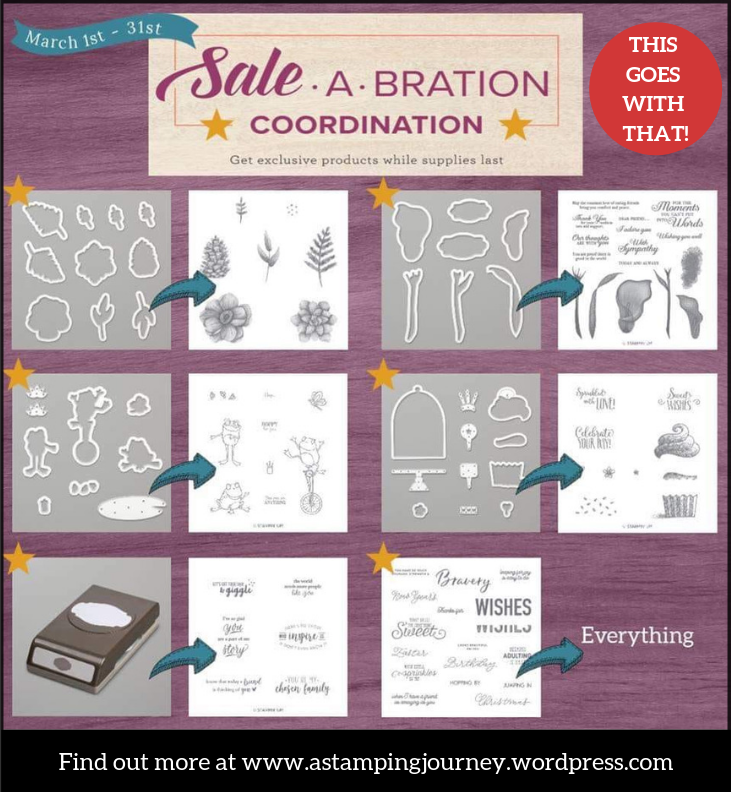 SALE-A-BRATION KEEPS GETTING BETTER AND BETTER! 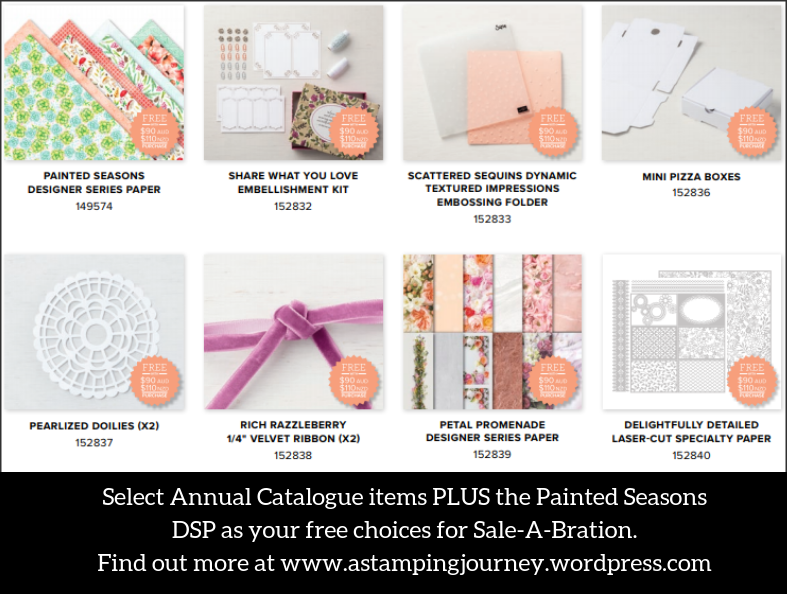 I recently told you about the 2nd release of products for Sale-A-Bration which includes the gorgeous, popular Painted Seasons Bundle. You can read more about all these -> HERE. BUT … There is more. 🙂 A 3rd Release for your Sale-A-Bration free choices has just been announced. 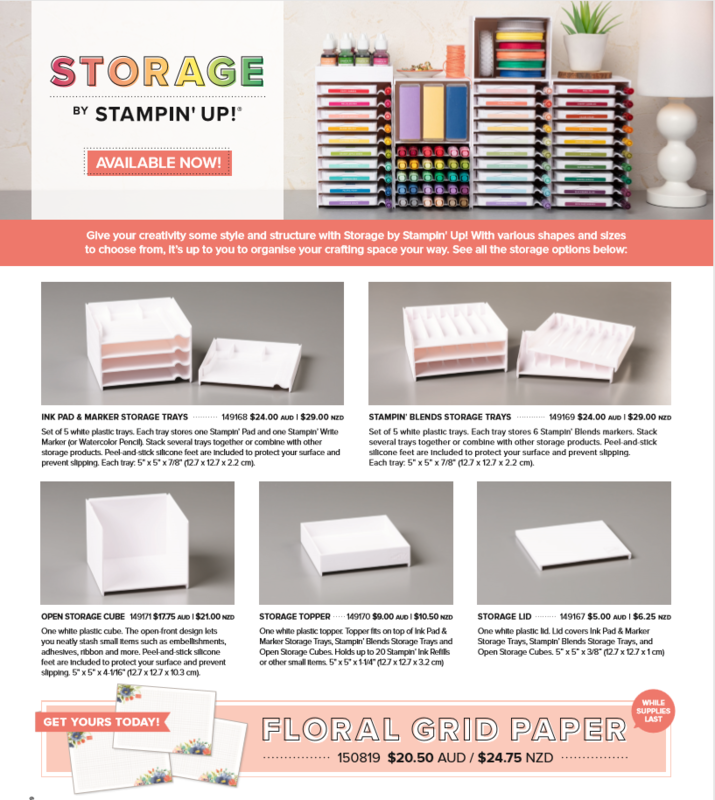 This includes the Painted Seasons paper by itself with some choices from the Annual Catalogue. These are all available as a Free choice with orders over $90. How exciting! 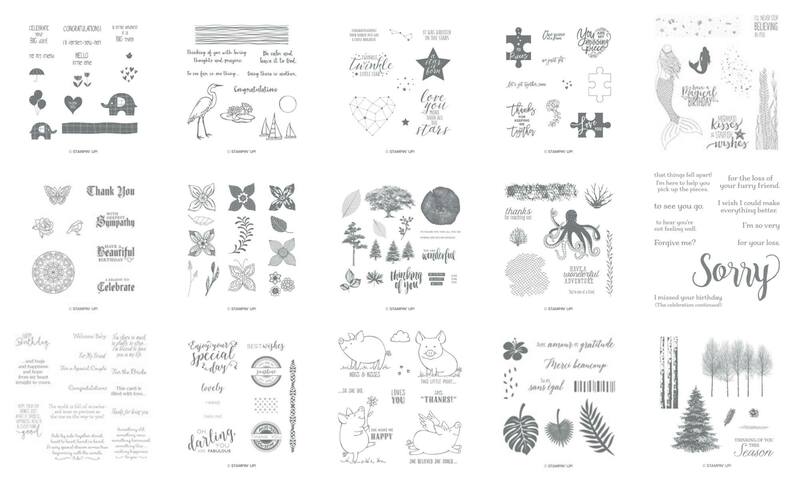 If you have loved some of the Sale-A-Bration stamp sets you can now order the co-ordinating dies to go with it. Saves you all the time cutting them out with scissors. Who has the time for that! Especially the details in the Lasting Lily set and the So Hoppy Together set. Too fiddly! 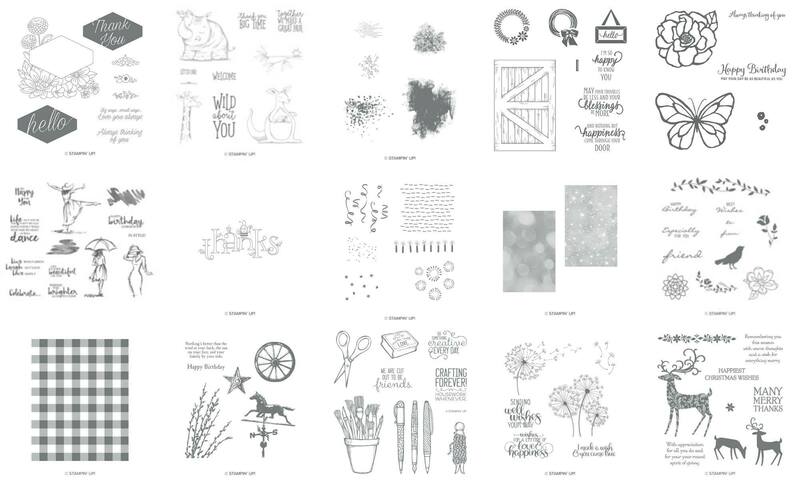 There is also the new Story Label Punch that will work with many of your current sentiments stamps. This is just one example below. I will share more of them later. See how the Lasting Lily card is so pretty with the added Dimension with the layers raised up. Would you cut this out with scissors?? 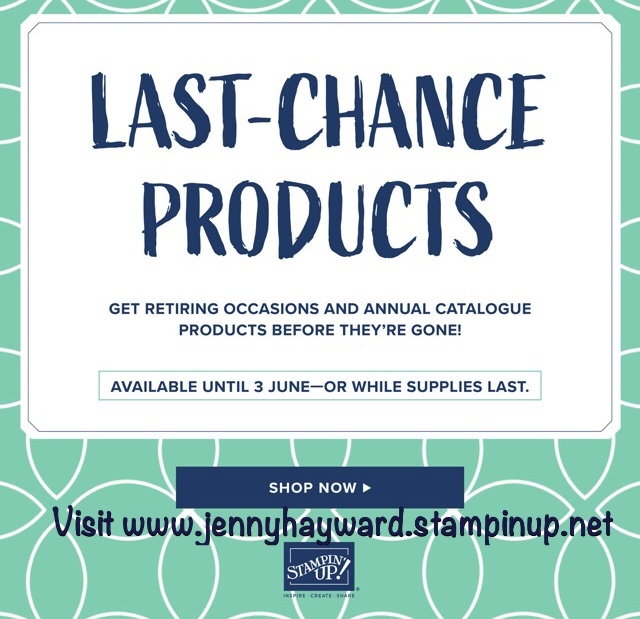 You can order these or any other products by emailing me or through my store. Australian residents only. 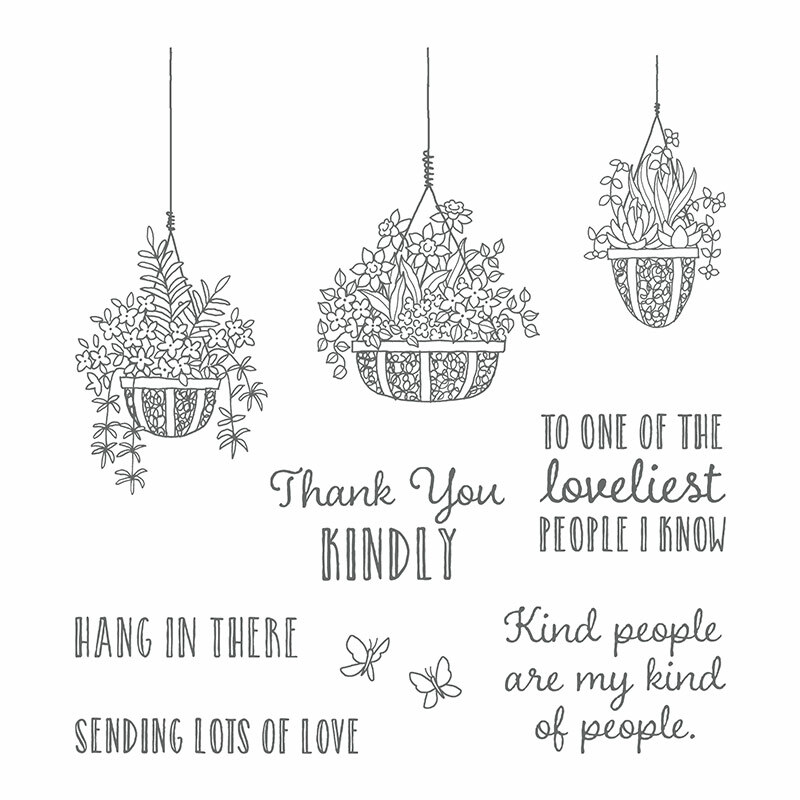 As a Thank You I send out a little card and gift. 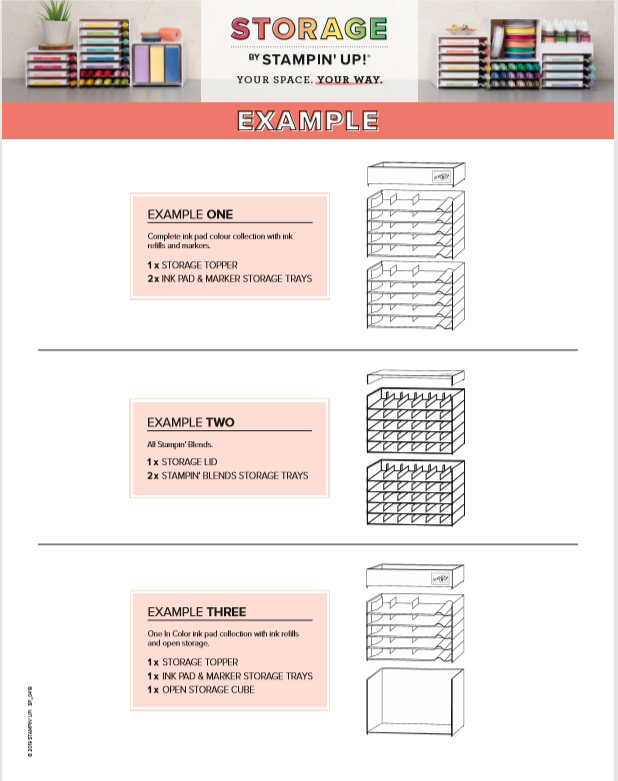 Also, you might qualify for the Tutorial Bundles now available with your order or you can purchase the Tutorials. Check it out below. 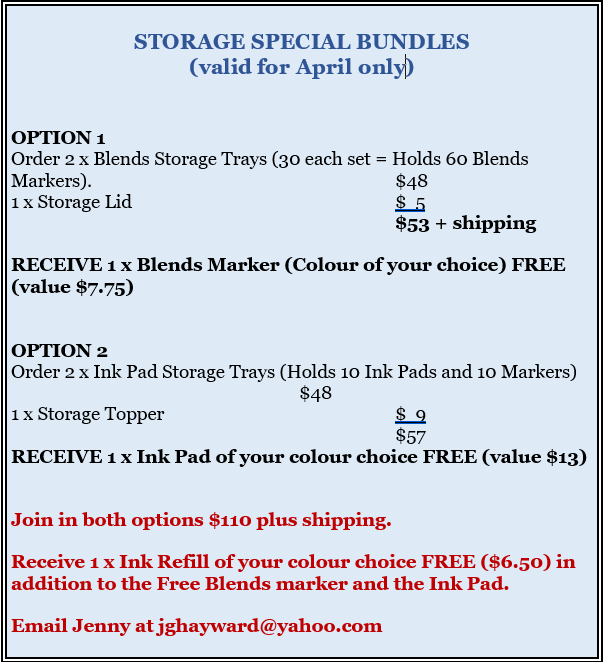 Receive them Free for orders over $78 (Australian residents only) or purchase them for $20 AUS wherever you are in the world through Paypal, or bank transfer if local.